The F550 is Hexacopter Frame which employs 6 arms to get into the air. 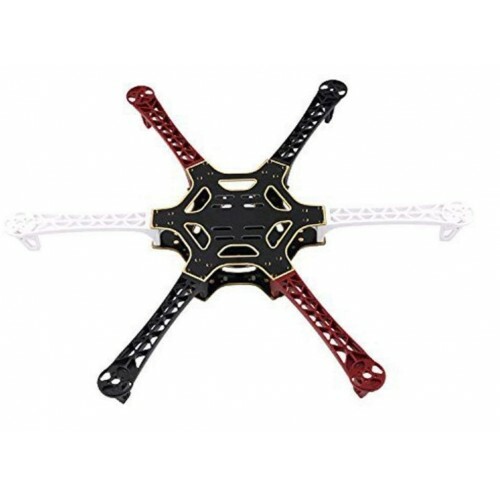 This F550 multicopter Frame is made from Glass Fiber which makes it tough and durable. 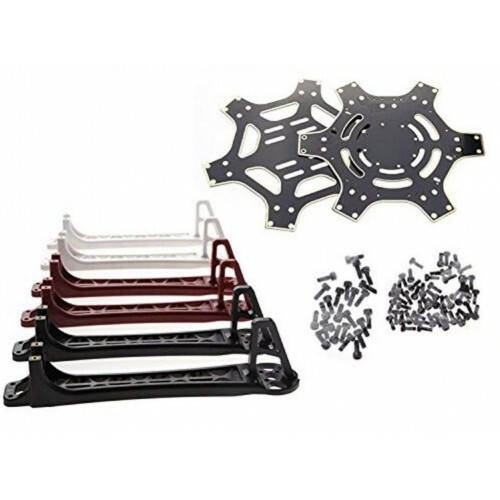 They have the arms of ultra-durable Polyamide Nylon which are the stronger molded arms having a very good thickness so no more arm breakage at the motor mounts on a hard landing. The arms have support ridges on them, which improves stability and provides faster forward flight. 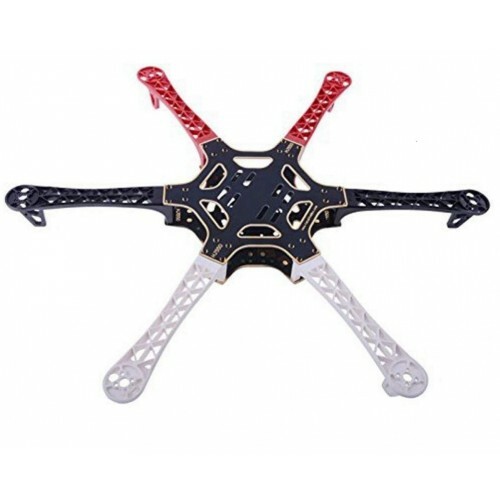 The arms of the frame are colored as 2-red, 2-white, and 2-black which can guide you to fly in the right direction. The design allows the whole take-off weight to be controlled at about 1200-2400 gm. The F550 Hexcopter Frame is highly flexible frame during mounting of various components like flight controller, battery etc. The frame has the wheelbase of 550 mm and weighs around 620 gm. It features mounting tabs at the front and rear end on the bottom plate of the main frame for mounting cameras and other accessories. Q450 Quadcopter FrameThe Q450 Frame is the most common frame for making a Quadracopter. Q450 Quadrac..